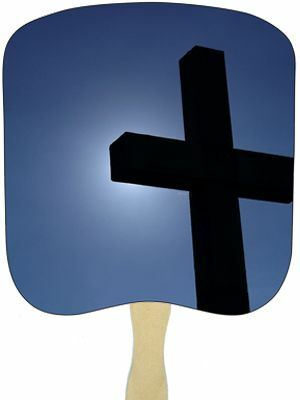 At PromotionChoice.com we have carefully designed 18 beautiful personalized church hand fans with religious themed stock designs. 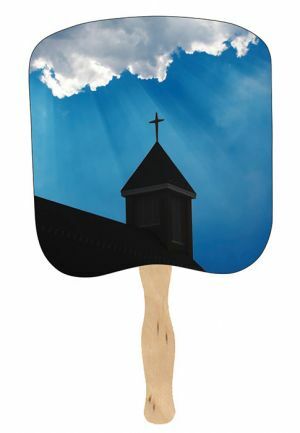 Get these customized hand held fans today and choose from one of our beautiful religious designs and print your text message, logo, design, or artwork on the back side of these personalized church fans. 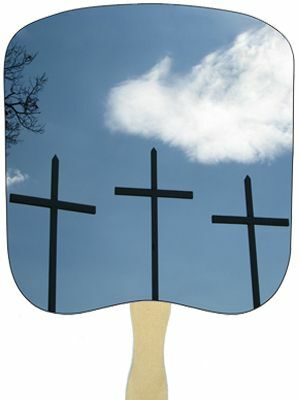 Personalize religious hand fans with us today and spread the word of God! 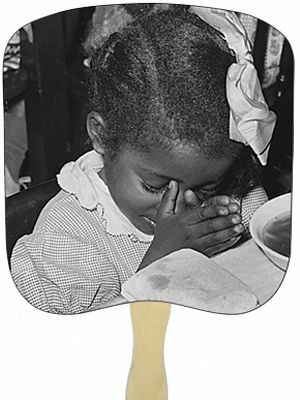 Our printed church handfans are printed on high quality 16-point card stock with a classic wooden bass 8 inch handle. 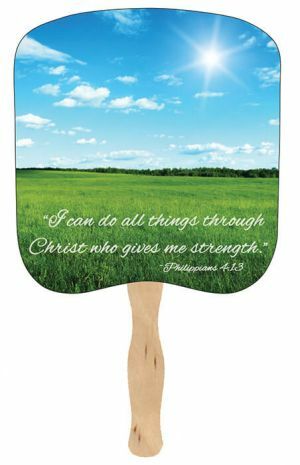 These customized paddle hand fans are excellent for showcasing your message to the local parish or church community. 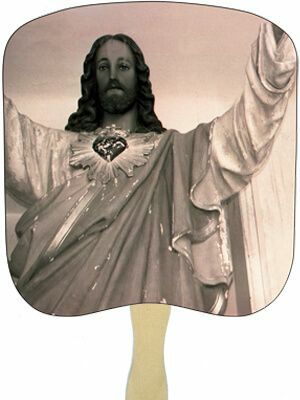 Many of these branded religious fans are also available in sandwich styles. 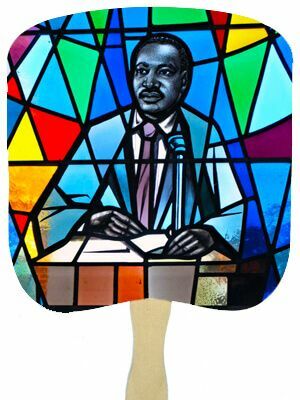 This means that the wooden stick on the second side of the personalized church fans are neatly hidden by a second card stock that folds over. 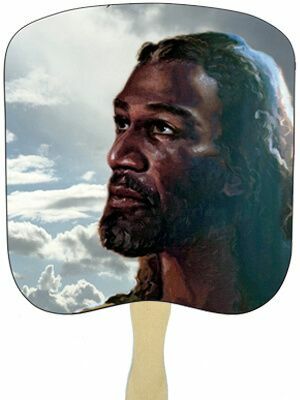 To make your personalized church hand fans look even prettier, an aqueous coating is professionally applied to the card stock of the custom hand fans to give it a nice semi gloss appearance. 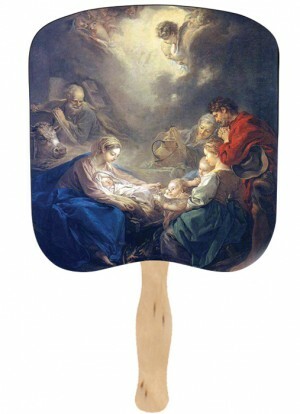 Order your logo hand-held paddle fans from us today! 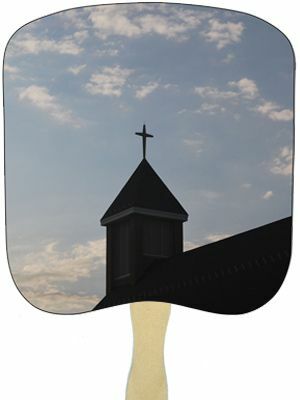 Use these beautiful promotional church fans to help spread the word of Christ and assist with your mission to evangelize. 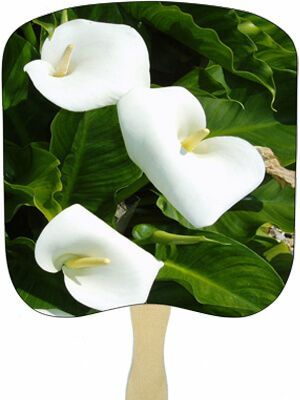 Our team of sales consultants are just a phone call away should you have any questions on how to place your order. 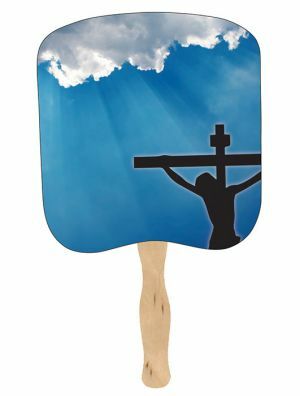 Our website has also been designed so that you can very easily order a set of custom religious hand fans without a hitch. 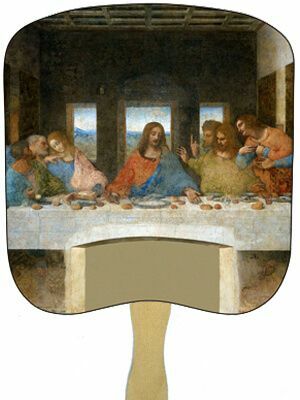 Just follow our easy step-by-step guide, tell us item number of your desired religious design, and let us know the number of ink colors you want to imprint on Side 2. 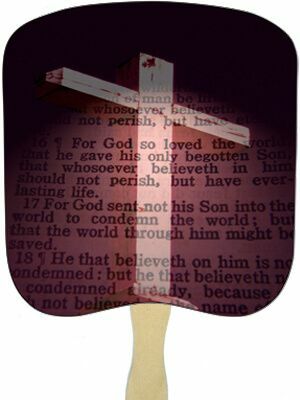 Most of our customers simply put the name of their church, their website, e-mail address, and telephone number of the second side. 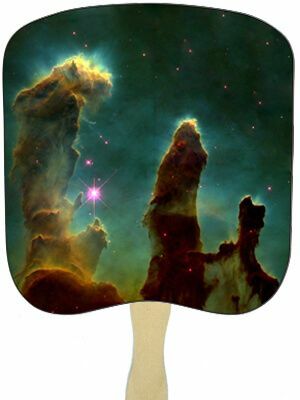 All of these can be indicated clearly on the "text Message" box under Step 5. 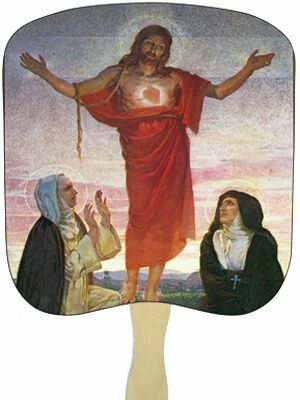 Once we receive your order of customized church hand fans, we will take good care of it and contact you if we need to make any clarifications! 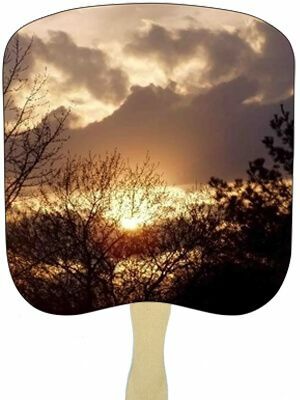 Join thousands of happy customers who have been so thrilled with our customized wholesale hand fans. 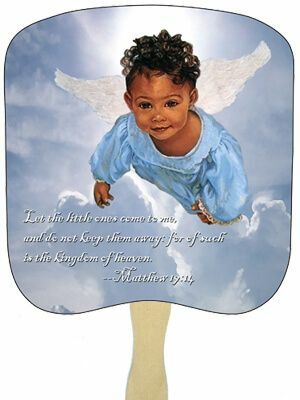 In addition to quality and good service, Promotion Choice prides ourselves on providing quality and beautiful imprinted church fans at really cheap prices.